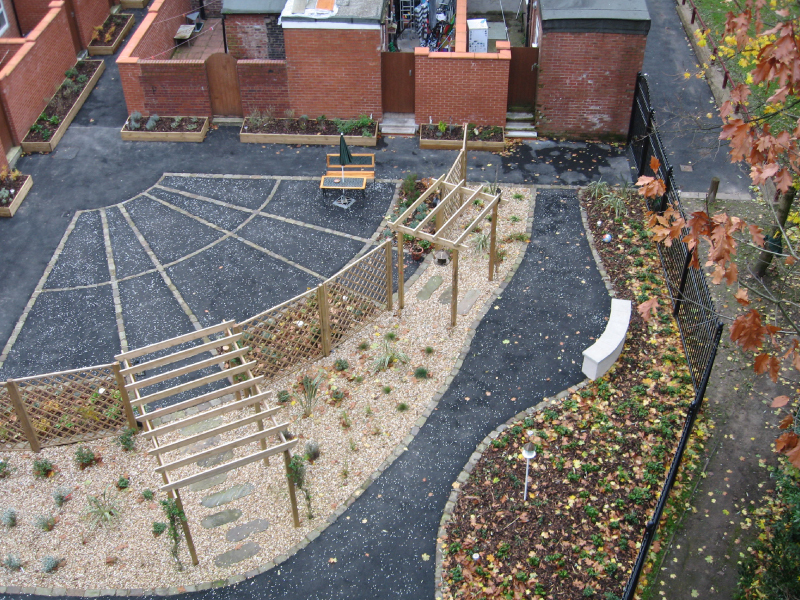 Naysmyth Batty Community Gardens was carried out through a framework and partnership agreement we have in place with Manchester City Council and Groundwork Manchester. 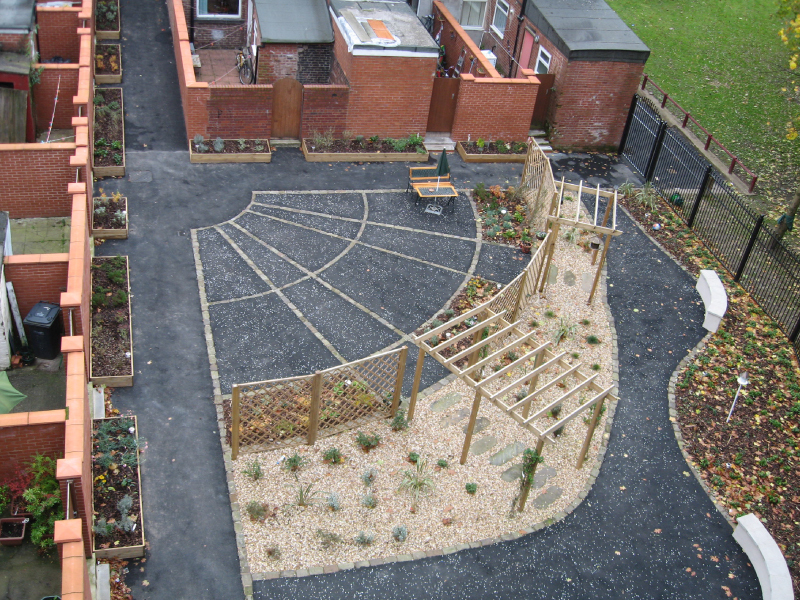 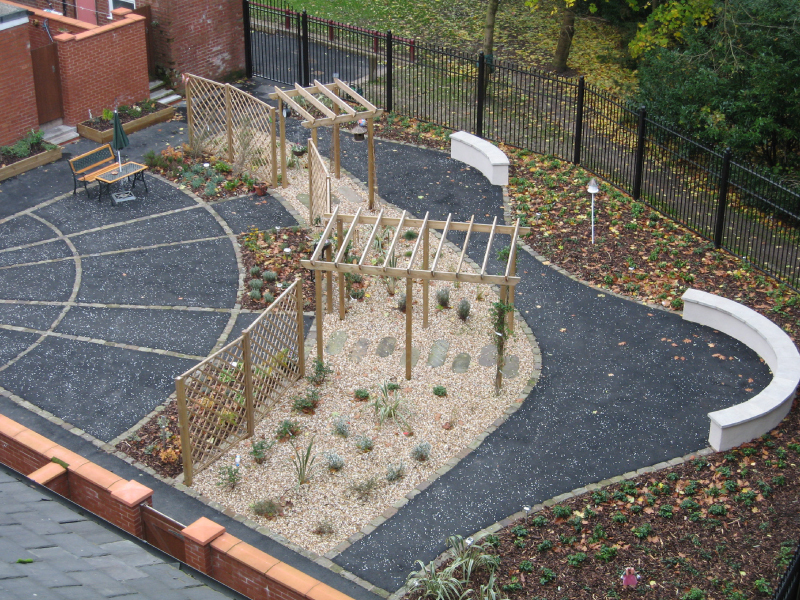 This particular scheme was carried out to create two community gardens and construct an area that could reunite a small community. 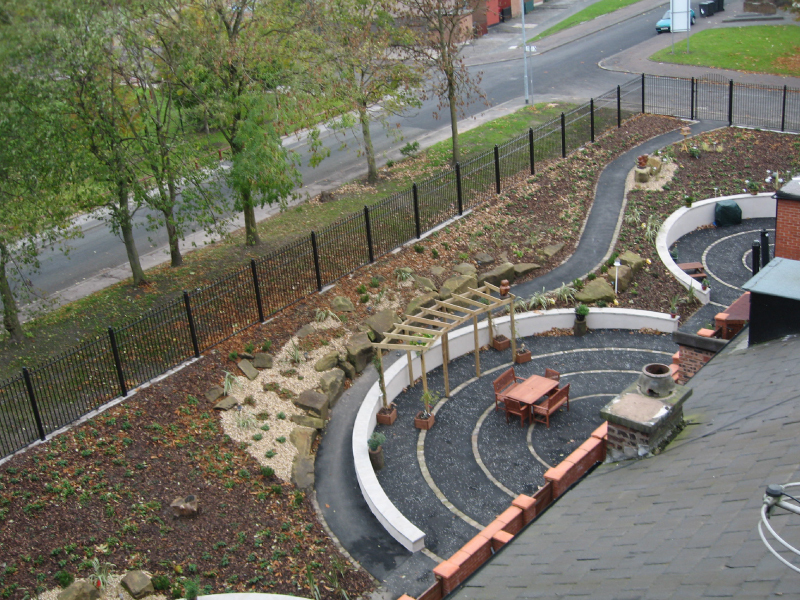 The aim is to bring together people from the local area and create a space that can be used for the benefit of the community. 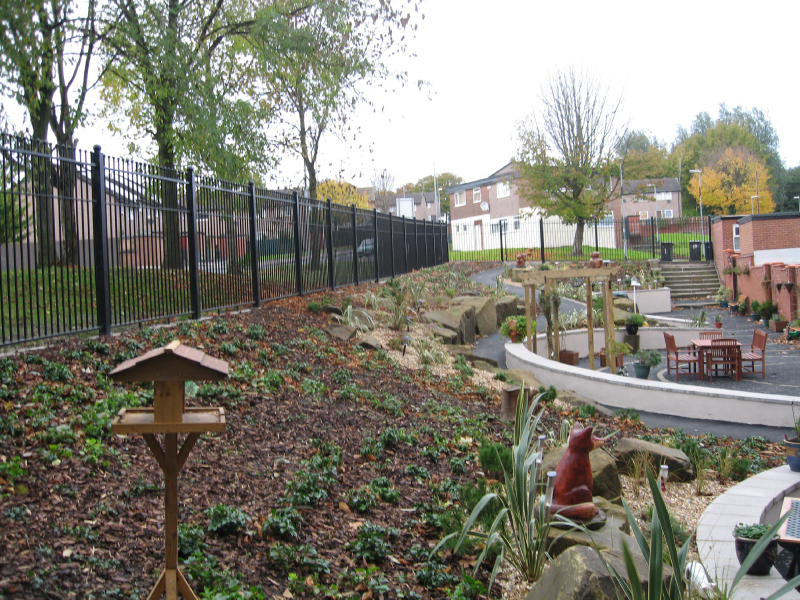 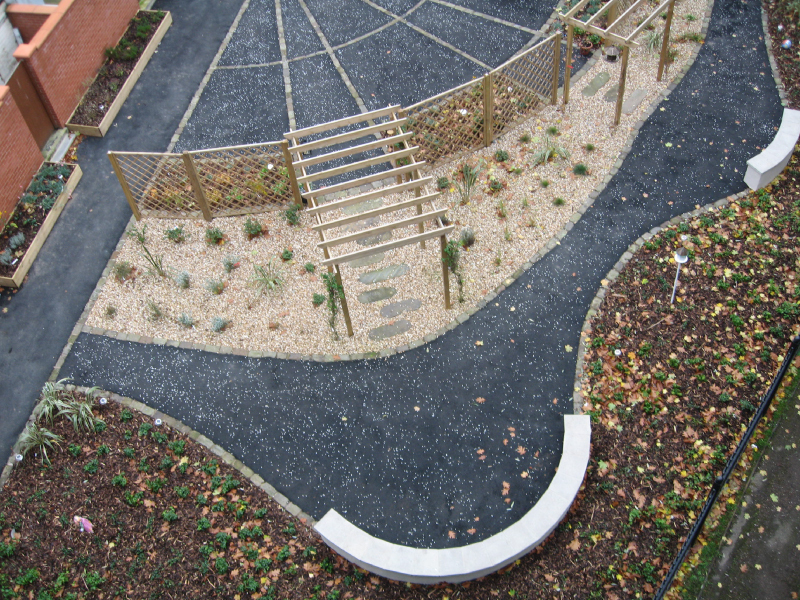 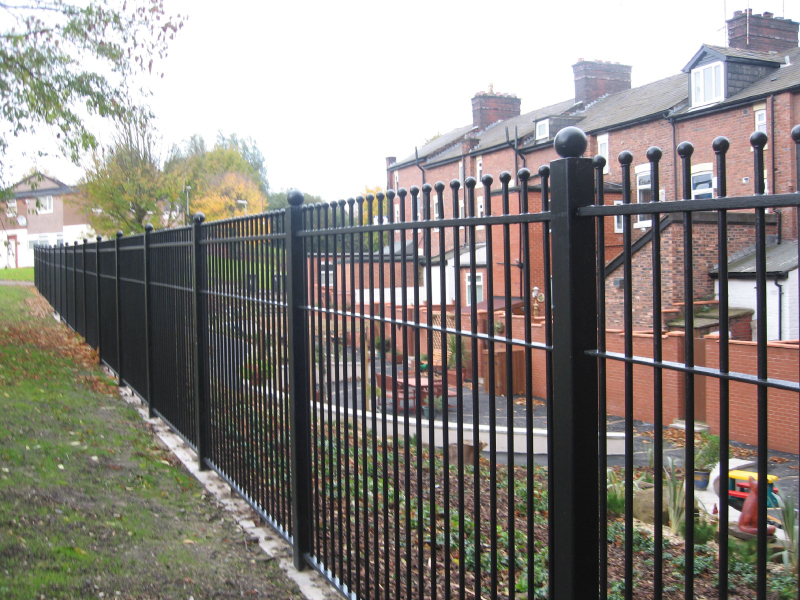 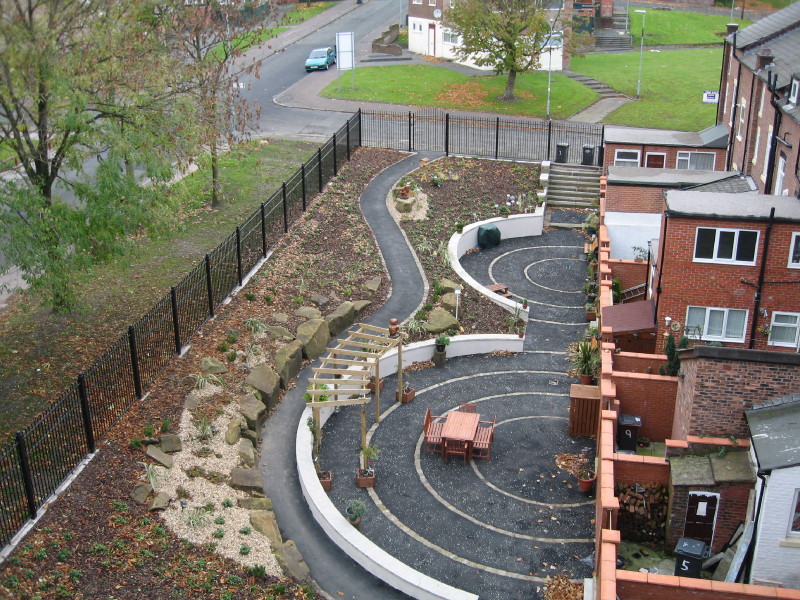 The works consisted of partial site clearance, felling and removal of dangerous trees, construction of new raised planters and walling, relaying of natural stone setts, tarmac surfacing, installation of timber pergolas, shrub and tree planting and installation of steel perimeter fencing and associated gates.